I love my kids and husband to bits but sometimes it’s nice (and necessary!) to have time away. I had much needed me time today. Just a few hours though, because I had only one bag of expressed milk for Paco and had to be home before he needed a second bottle. So what did I do? Not get a mani-pedi, although my nails are in a sad state. I went out and ate. First stop was SM Aura, where I had churros from Churreria La Lola. The churros is perfect, crunchy on the outside and soft on the inside. It’s nice and quite big, unlike the Dulcinea churros which is a little on the scrawny side. At La Lola, they fry it in front of you, but it isn’t too oily, then they dust it with sugar. Mmm-mmm-mmm-mmm-mmm! I always order chocolate to dip it in. It’s warm and thick, not too sweet, and coats the churros just right. There are six pieces in the medium box (they don’t offer a small though) and I can finish it all. Oink, oink! I’d have taken a photo but I thought of writing this blog post only after I had wolfed it down. 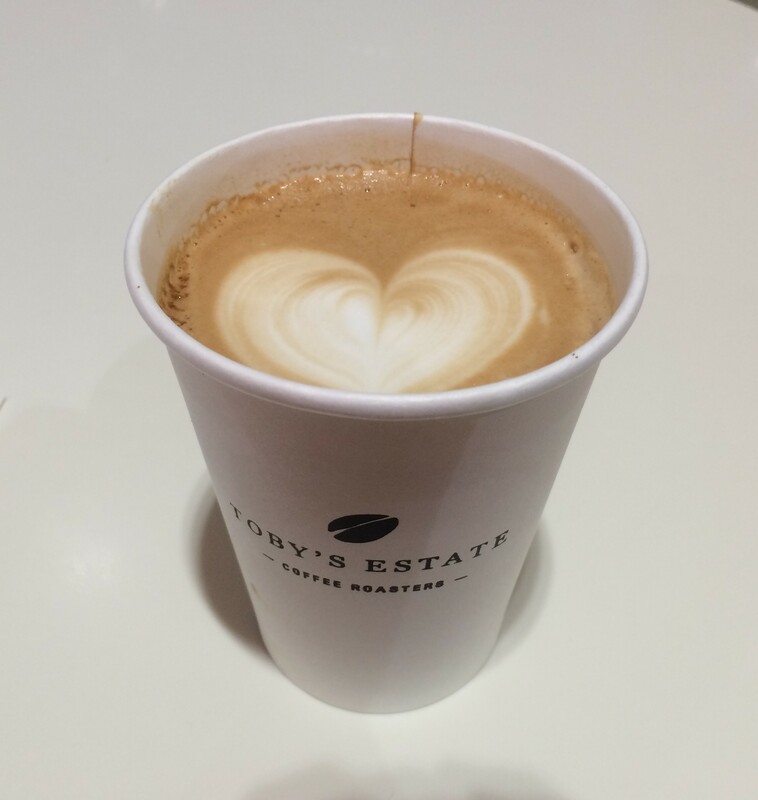 I paired it with a flat white from Toby’s Estate. Man, is that coffee g double o d good! The first time I ordered it, I knew it would be excellent because it didn’t look at all watered down. It was thick and caramelly and just seemed like the perfect cup of coffee. I’ve been hooked on it since! I seem to be craving good, strong coffee lately and have been drinking two cups a day. I didn’t spend too much time in SM Aura. I also bought a swimsuit but let’s keep that between us, shall we? 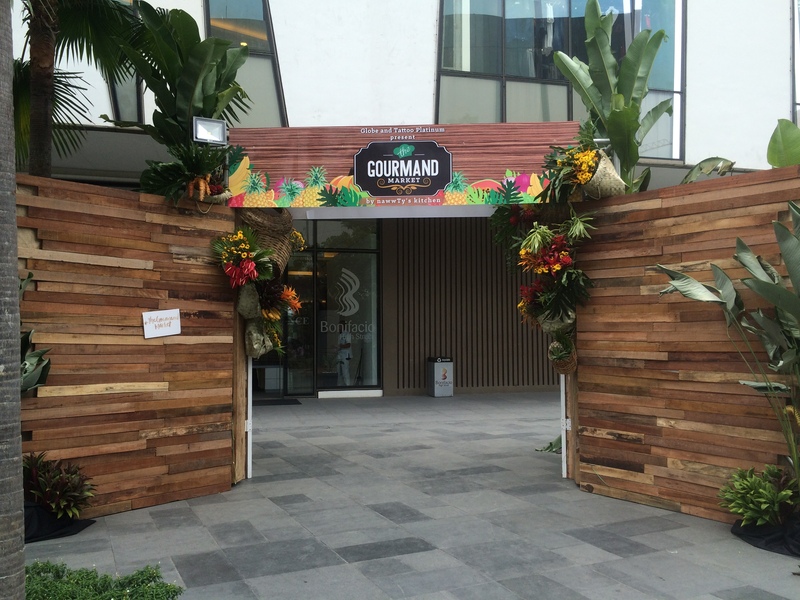 Next, I went to Bonifacio High Street for The Gourmand Market. 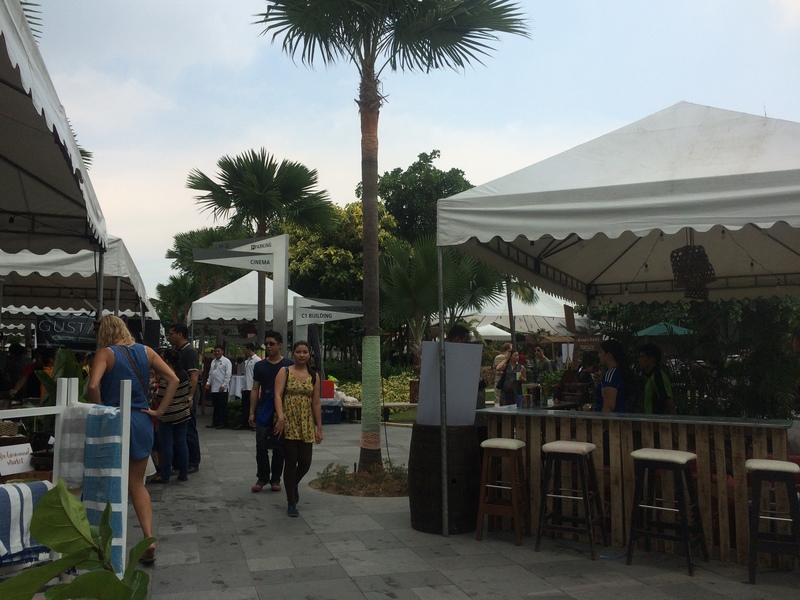 It’s an outdoor food fair and I believe this is the second time they put it up. It was quite nice, with wooden picnic tables around where you could sit and eat whatever food you bought from the stalls. There was all sorts of food – uncooked meat, ready to eat meals, drinks, ice cream, cakes and cookies. I had every intention of having lunch there but nothing called out to me. Instead, I bought a couple of bottles of cold brew for Julio and some monogrammed hand-woven napkins. Lunch was so-so sushi from Marketplace, where I also bought potted herbs. I considered having a nice, leisurely lunch at TWG but I had lingered long enough and it was nearly time for me to head home. Shortly after I got home, Julio and I went to an Aussie surplus store called Aussie Surplus (haha!). I’d been meaning to stop by to canvass for a circular saw or a jigsaw. That place was cheap! 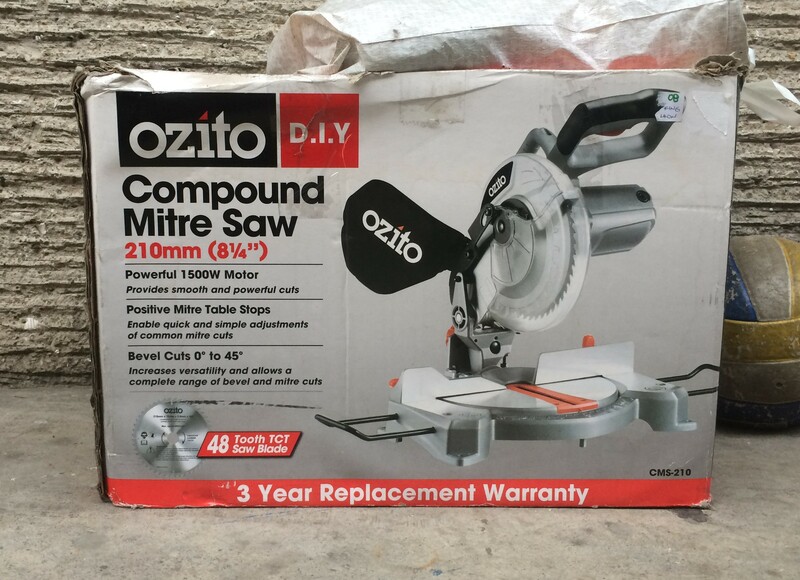 I ended up buying a compound mitre saw for only P1,100. It normally sells for more than P10,000 brand new! The owner of this brand must be Pinoy, because Ozito = Aussie ‘to. Hehe. This purchase I was beyond excited about. The whole ride home, I kept mumbling, “Cool… Cool… Cool…” and wondered what my first project would be. My husband probably thought I was nuts. But, yeah, I’m so super excited – this will take my DIY-ing to a whole new level!